Workit Health treats opiate addiction in the Bay Area with buprenorphine & online therapy. 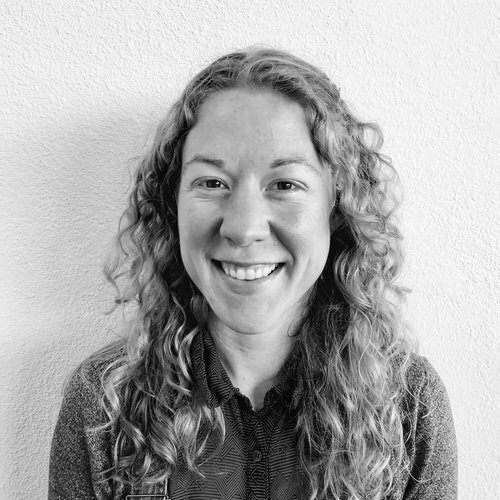 We caught up with Dr. Melody Glenn, Workit's CMO, who will be overseeing the Bay Area clinic. Dr. Glenn is a board-certified emergency medicine and EMS physician. She is the Medical Director of a local paramedic training program, and has extensive experience in ED-based harm reduction and addiction treatment. She grew up in Huntsville, Alabama, earned her BA in Latin American Studies from the University of Arizona, worked in women's health & advocacy in Atlanta, Georgia, studied medicine at the University of Southern California in Los Angeles, and completed her emergency medicine residency at Maricopa Medical Center in Phoenix, Arizona. Kali: You have an emergency medicine background, can you tell us a bit about that? How does emergency medicine prepare you for treating addiction? Dr. Glenn: Working in the emergency department, I see a lot of complications related to opioid and alcohol addiction, ranging from abscesses to overdoses. I feel like these are senseless illnesses and deaths and want to do something more to prevent them instead of just putting a temporary bandaid over the problem. Luckily, I think that the emergency department is uniquely positioned to address addiction in new and novel ways. We have a unique epidemiologic perspective of the community, seeing the spectrum of illnesses that affect the population. For example, if there is a change in the heroin supply -- such as the addition of fentanyl -- we will see it. Also, we offer care 24/7 and treat everyone regardless of ability to pay, so we are easily accessible. My first foray into harm reduction in the emergency department was at Maricopa Medical Center, where we partnered with Sonoran Prevention Works to start a take-home naloxone program for patients who were deemed at risk for opioid overdose. More recently, I am working on Emergency Department buprenorphine induction. What made you interested in treating addiction here in the Bay Area? The Bay Area is very forward thinking when it comes to harm reduction and combating the opioid epidemic, and there is already a network of public health and nonprofit institutions working together. In addition, there is a culture of innovation that will help us address the problem from new, and hopefully more successful, avenues. I feel like we can make a lot of headway here. What do you see as the current challenges in treating opiate addiction, and how do you think Workit Health can improve upon them (both at large and in the Bay specifically)? I wish that more people believed in a harm reduction model. There are still a lot of false beliefs out there around effective treatment modalities, for example, some people think that distributing Narcan encourages heroin use. Workit was founded and built by addicts in recovery, so as part of your team you’ve been working alongside former “patients” of addiction treatment. How has that experience been? Has there been anything that has surprised you or challenged you? To be honest, the experience has been no different than working with any other great team, although I suppose the lack of alcohol at work events has made me notice how big of a role alcohol plays in American culture in general and in the culture of medicine specifically. As well as your MD, you are getting an advanced english degree. As an addict in recovery, it was so hard for me to speak honestly about my experience and tell my story to my doctor. But in recovery, part of my power has come from learning to express myself to my medical providers and others in my life. How important are narratives to medical care? That is so great to hear! I’m actually getting my Masters in Fine Arts in Prose. Tapping into some deeper, more artistic place has helped me process some of the trauma I’ve seen in the emergency department. I think that creating your own narrative has huge implications around empowerment in healthcare. Otherwise, physicians tend to use a medical gaze when creating a patient’s narrative, i.e., their History of Present Illness. Read Dr. Glenn's writing on Feminem.org.